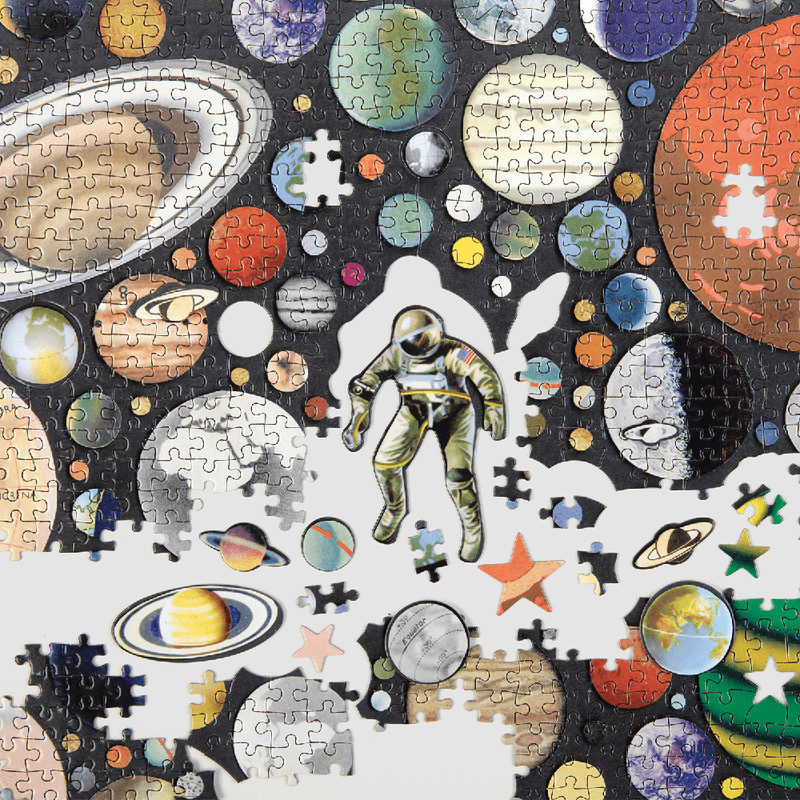 Zero Gravity 1000 Piece Puzzle features the planets of the universe hand-cut in a cosmic collage of color. 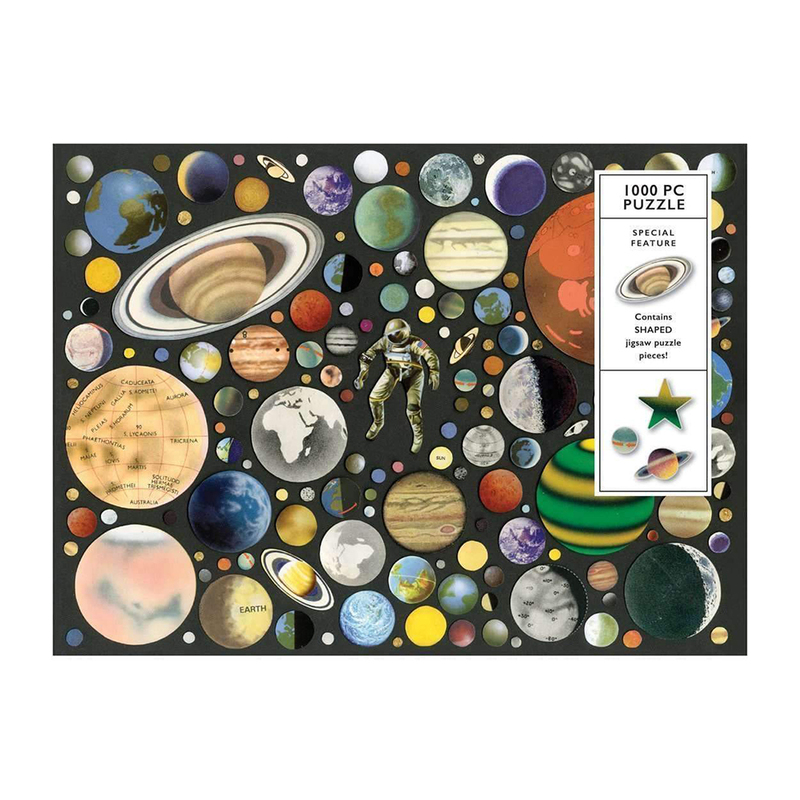 This unique puzzle includes 20 puzzle pieces that are die-cut in the shape of the planet! Galison puzzles are packaged in matte-finish sturdy boxes, perfect for gifting, reuse, and storage.